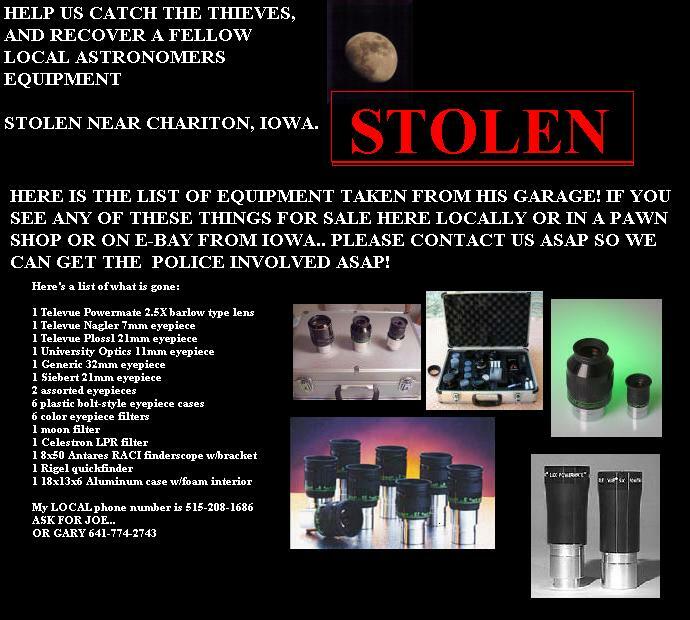 Click below to find out what was stolen!!! Click above to find out what was stolen!!! the field to do some star gazing! Support public programs on astronomy. We have subgroups within the club. faint objects that lie outside the solar system. Lots of people together who all share a common interest. 2.New members get some experience with telescopes before they buy one. 3.Observing in groups at remote sites is safer than observing alone. 4.Observing sessions make getting help much more easier. and includes the club newsletter, and. And award plaques. 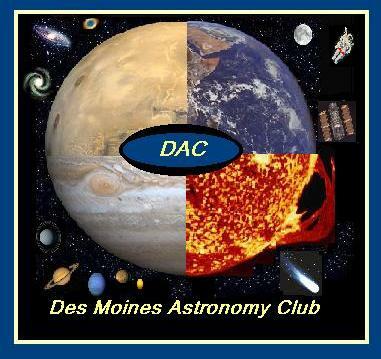 (DAC) meetings are free and visitors are always welcome. of viewing the night sky to our club members, and guests. hobbyists with a passion for the night sky! We are interested in growing our club with new members. We'd love to have you join us. It's Free! of ours, and a few free nights. Will go out each month to you in e-mail if you like! $25.00 per family or if youre an individual its still the same price. To afford membership dues. So if money is a problem. To see if Dac is worth youre hard earned money! into a browser to view that page! Civil war reenacting Go Here! 39th Iowa Civil war reenactors page.